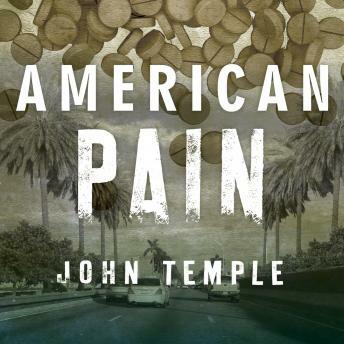 The king of the Florida pill mills was American Pain, a mega-clinic expressly created to serve addicts posing as patients. From a fortresslike former bank building, American Pain's doctors distributed massive quantities of oxycodone to hundreds of customers a day, mostly traffickers and addicts who came by the vanload. Inked muscleheads ran the clinic's security. Former strippers operated the pharmacy, counting out pills and stashing cash in garbage bags. Under their lab coats, the doctors carried guns, and it was all legal . . . sort of. American Pain chronicles the rise and fall of this game-changing pill mill and how it helped tip the nation into its current opioid crisis. The narrative, which swings back and forth between Florida and Kentucky, is populated by a diverse cast of characters. This includes the incongruous band of wealthy bad boys, thugs, and esteemed physicians who built American Pain, as well as the penniless Kentucky clans who transformed themselves into painkiller trafficking rings. It includes addicts whose lives were devastated by American Pain's drugs, and the federal agents and grieving mothers who labored for years to bring the clinic's crew to justice.